President Obama tours a graphic design classroom during a visit to the Fort Hayes Arts and Academic High School in Columbus, Ohio earlier this month. Friday, the president will outline new guidelines for schools that want to opt out of the controversial No Child Left Behind law. Could No Child Left Behind be history? Ten years after the Bush administration’s landmark attempt to revamp the nation's education system with the No Child Left Behind law, President Obama is poised to allow states to opt out of the heavily criticized guidelines. Friday, President Obama will announce that his administration will begin reviewing states' applications to waive the No Child Left Behind requirements in return for tangible commitments to close achievement gaps. 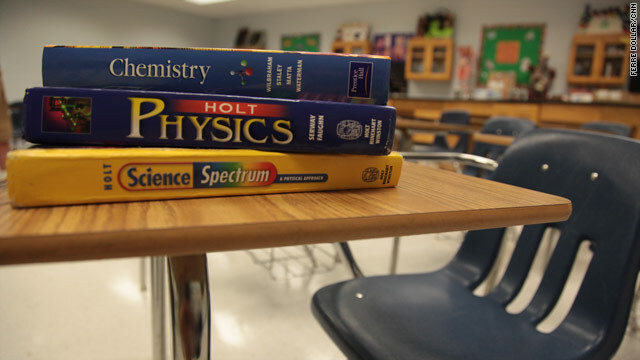 The law, which passed with broad bipartisan support in 2001, required public schools to meet targets aimed at making all students proficient in reading and math by 2014 or face stiff penalties. As that deadline looms, the Department of Education has predicted up to 82% of the nation's schools could miss the target and face those penalties including the possibility of losing federal education dollars. 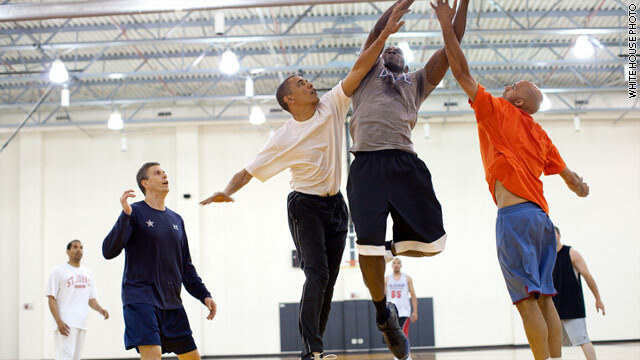 WASHINGTON (CNN) – March Madness could have a whole new meaning if the Department of Education gets its way. The US Department of Education is calling on the NCAA to ban teams that don't graduate a majority of their players. 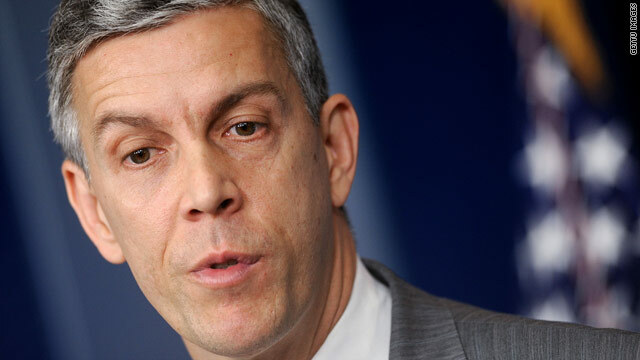 Secretary of Education Arne Duncan backed a call by the Knight Commission on Intercollegiate Athletics to ban schools who graduate less than 50% of their players from tournament play and to restructure the revenue distribution for teams with failing rates. “If you can’t manage to graduate half of your players, how serious is the institution- the coach and the program about the players’ academic success?” Duncan said in a conference call with reporters on Thursday. 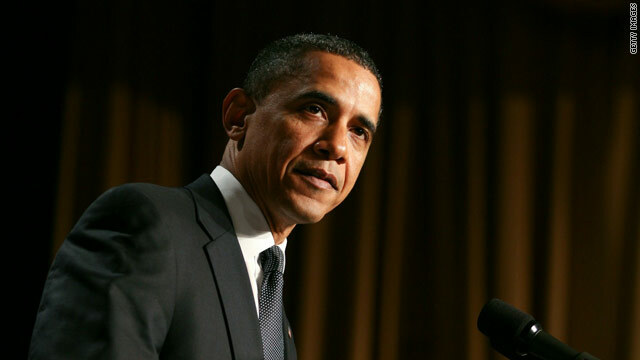 WASHINGTON (CNN) - President Barack Obama called Monday for Congress to pass education reforms by the time students return to school next fall, telling a Virginia middle school that fixing problems in the Elementary and Secondary Education Act - more commonly known as "No Child Left Behind" - should be a top priority. "In the 21st century, it's not enough to leave no child behind. We need to help every child get ahead," Obama said, urging Congress "to send me an education reform bill I can sign into law before the next school year begins." Mindful of the budget debate currently enveloping Washington , Obama insisted that education funding must remain robust because it was vital to the nation's future success. 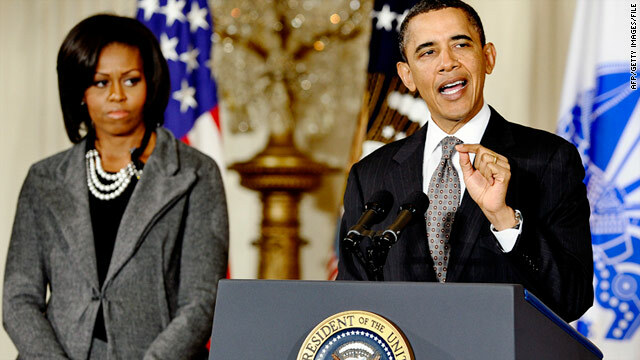 WASHINGTON (CNN) - President Barack Obama and first lady Michele Obama will host the first-ever White House Conference on Bullying Prevention Thursday. "For a long time bullying was treated as an unavoidable part of growing up but more and more we're seeing how harmful it can be for our kids, especially when it follows them from their school to their phone to their computer screen," the president said in a video promoting the event. An anti-bullying PSA released online in January declares that more than six-million schoolchildren experienced bullying in the past six months. As parents of two teenage girls, the issue resonates with the president and first lady. "I spend a lot of time talking to them about putting themselves in other people's shoes and seeing through other people's eyes," Obama said at a town hall, hosted by BET and MTV, in October 2010. "And if somebody is different from you, that's not something you criticize, that's something that you appreciate." BOSTON, Massachusetts (CNN) - It’s like many schools in heavily urban areas: there are metal detectors, the neighborhood is poorer than many and 90 percent of the students qualify for free or subsidized lunches. But there’s a real difference at TechBoston Academy in the Dorchester neighborhood of Boston, Massachusetts. At this school an average of 95 percent of the students are routinely accepted into college. Headmaster Mary Skipper has overseen this pilot model public school since it was opened back in 2002 as a partnership between the public school system, private business and philanthropy. President Obama and Australian Prime Minister Julia Gillard visiting a high school history class in Virginia. WASHINGTON (CNN) - The often separate worlds of U.S. foreign and domestic policy merged for a few minutes in Arlington, Virginia Monday afternoon when President Obama and visiting Australian Prime Minister Julia Gillard mad an unannounced visit to an 11th grade history class. Gillard, a former education minister in Australia, made the trip across the Potomac with Obama to Wakefield High School where the two spoke with students in Collette Fraley’s class. They took questions from the students with topics ranging from the recent floods in Australia, the state of basketball there, to establishing what Vegemite tastes like. Gillard also gave the students a “kind of pop quiz” about Australia. 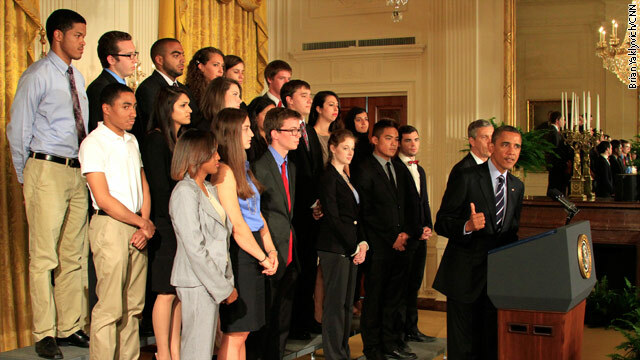 Education Secretary Arne Duncan, who once played semi-professional basketball in Australia, accompanied the two as well. WASHINGTON (CNN) – While the situation in Libya and the Middle East will likely keep the White House busy for the next few weeks, the Obama administration is staying focused on domestic issues including improving education. President Obama will kick off his education initiative Friday with a trip to Florida where he will visit Miami Central Senior High School to give remarks to highlight overcoming education challenges.